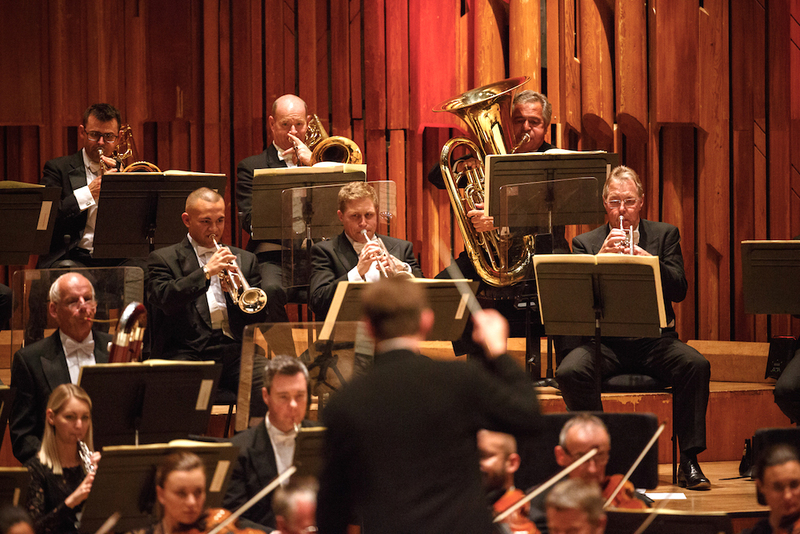 Hot on the amazing success of the first Final Symphony, with a chart topping recording and sell out concerts in its name, comes the sequel Final Symphony II. The question I had was, after Final Symphony was such a success and covered arguably the biggest games in the series, how were the team going to top that? The answer is that they were not trying to top it but rather elaborate on what has already been established, with a programme that immediately strikes as not try to push the boundaries but expand on the success of the Final Symphony 1 programme with other games in the series. 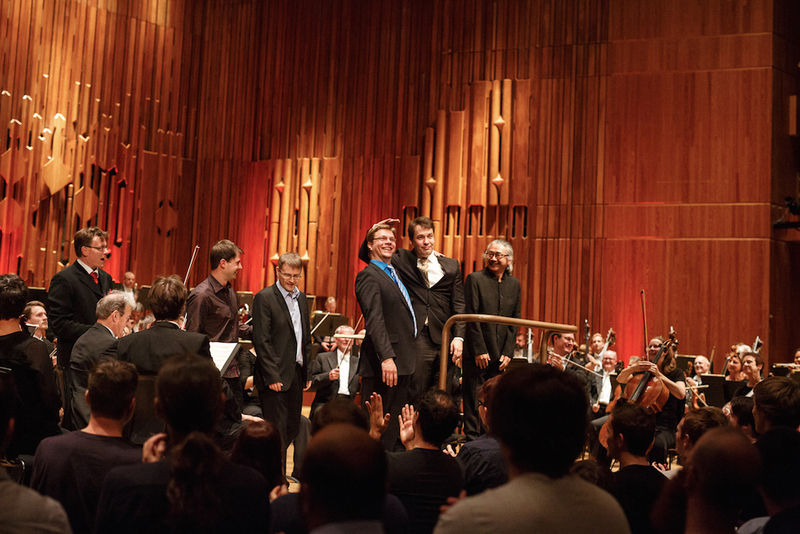 Whereas the Final Symphony 1 pieces took the melodies of Final Fantasy VI, VII and X and made them into a symphonic poem, a piano concerto and a 3 movement symphony, Final Symphony II instead opts for a simpler approach with four single piece arrangements of Final Fantasy XIII, IX, VIII and V. The result was a programme that felt lighter and more accessible by comparison, which is by no means a bad thing. I was invited to the rehearsal beforehand thanks to video games PR guru and Classic FM video game music campaigner Mark Robins. I was able to say hello to some of the London Symphony Orchestra players, producer Thomas Böcker, arranger Jonne Valtonen and Nobuo Uematsu before rehearsals went underway. 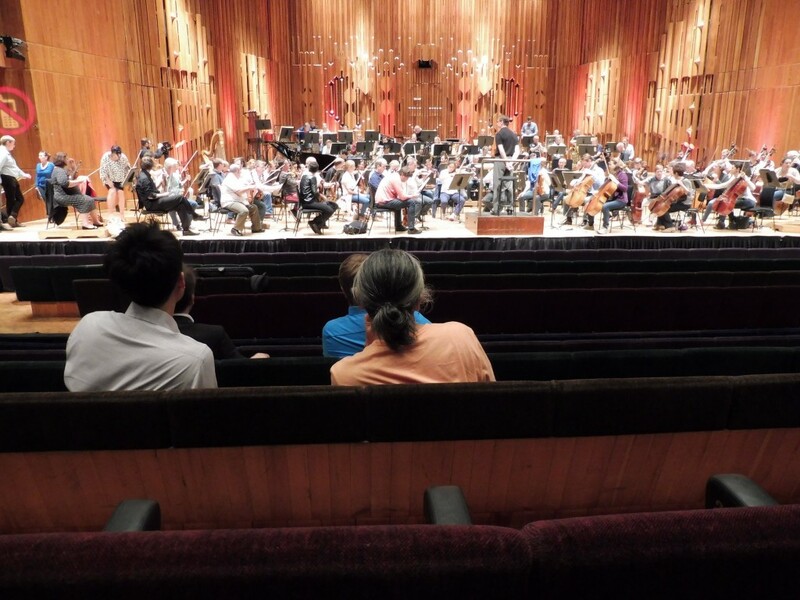 I and a few other media people were able to watch the final rehearsal of the first 3 pieces of the programme, the overture, FFXIII and FFIX. I was immediately impressed with it all even though compared to other games in the series my ability to identify individual melodies and moments is limited. This may hamper my ability to do immediate detailed analysis of these pieces until a recording comes out but I’ll do my best, I have over 3 pages of notes I made during the concert! When the LSO went on their break unfortunately we all had to leave the hall until the pre-concert talk. Though that gave me a chance to chat to the other writers including Mariusz Borkowski of gamemusic.pl, Audun Sorlie, who has written for various websites including Destructoid and Gamaustra, Ramon Van Engelenhoven, an up and coming pianist, Nikolas Broman, a Finnish writer who has his own website bliplico.com, and, to my huge surprise, Chris Huelsbeck. It was really great to talk to Chris, he’s a really nice guy, and he gave us a demo of one of his new pieces of music on his iPad that he wrote for the Burning Man festival in Nevada. He also showed us some photos of the festival which looks pretty special. We then went to the Barbican Kitchen to eat some pizza and I educated the others on England’s tea habits. Then it was time for the pre-concert talk. The talk featured the LSO’s principal flute Gareth Davis, Thomas Böcker, arranger Roger Wanamo and of course Nobuo Uematsu. Gareth mentioned that this was probably the highest turnout to a pre-concert talk that he had ever seen, the stalls were full. Uematsu talked about his love of English rock bands and Elton John and mentioned that being at Abbey Road studios for the Final Symphony 1 recording was a dream come true for him. He also talked about how he composes his music, waking up early and getting straight to work, refining his initial ideas in the afternoon, and how composing for old sound chips and being restricted in this way forces people to write better music because they have less to work with. He was very complementary of the way Square-Enix used to give him a lot of background material to work with when writing the music and how as a freelancer he doesn’t get that opportunity anymore. His favourite piece that he’s written is ‘Dancing Mad’ (at least off the top of his head it was, he found that question difficult to answer). Roger Wanamo was next to talk. He talked about how he goes about arranging the music for these concerts, studying the source materials and the panic as deadlines approach (to which Thomas smiled!). 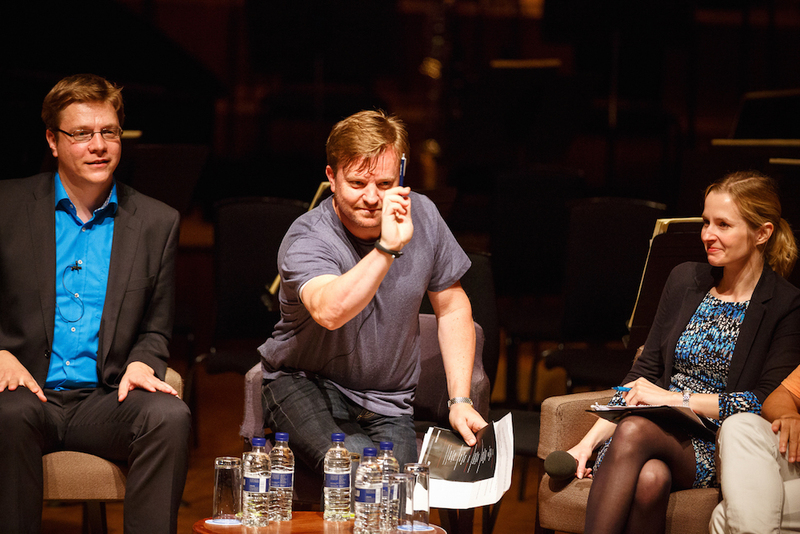 At this point Gareth mentioned that some people like to become elitist about classical music and orchestral music, particularly with regards to the response to Classic FM’s hall of fame including video game music, and mentioned that the orchestra really enjoys these kinds of concerts and they love the atmosphere from the audience. Roger adds “To me, music is music, regardless of where it comes from.” Uematsu mentioned that Roger and Jonne both choose piece of music that he wouldn’t normally choose if he was in charge of the arrangements, which he really likes. Roger also talked about the ways in which he attempts to use orchestral sounds to emulate sound effects and electronic sounds. Thomas was next to talk, talking about the hard work involved in putting these concerts on but that it’s all worth it, and that he rates the LSO incredibly highly and rightly so. Then it was time for the Q&A. Some ‘interesting’ questions from the audience and some very smart questions too. These included solving the mystery of who was responsible for the FFVI piano arrange album and a funny story about said album (apparently a London pianist was due to be the player on the album but his hands were shaking so much that he couldn’t even play, so they cancelled that recording and got another pianist from Japan on board who improvised much of what ended up on the album!). There were also some typical fan questions (What’s your favourite Final Fantasy character?! ), question about how to deal with elitism and one member of the audience asked Uematsu to whistle the Chocobo theme which he did, and it was hilarious. After the talk it was time for the main event. The concert opened with, as is tradition in these concerts now, a new opening piece of music by Jonne Valtonen. This one was a fanfare called “In a Roundabout Way”, which Valtonen describes as inspired by the main theme of Final Fantasy. He went on to explain to me that the piece has variations in a similar way that the main theme of Final Fantasy changes between games in the series. He went on to say that “This fanfare is like a spinning top that is continually either accelerating or reducing its tempo. Though the spinning is not only spatial in nature – it is also textural.” The spinning then reaches its top speed at the end of the fanfare ready for the rest of the concert to begin. The fast pace and the driving hi-hat at the beginning of the piece are clearly inspired by Masashi Hamauzu’s work on Final Fantasy XIII. This is then followed by the more romantic trends that Valtonen is very skilled at with his big brass tutti section and large romantic strings. This then dies down to a flute solo before exploding again, finishing off with plenty of high trumpet and fast rhythms. Another fantastic opening from Valtonen, this one being more experiential and less catchy than previous opening pieces yet still being an effective opener. Next up was Final Fantasy XIII, the arrangement being titled “Utopia in the Sky”. This is an orchestration and partial arrangement by Jonne Valtonen based on original unfinished arrangements by Hamauzu himself. Hamauzu, having worked on previous Merregnon concerts, wasn’t satisfied with previous orchestrations of his FFXIII work and so worked with Valtonen to create what would be in his eyes perfect versions of the music. 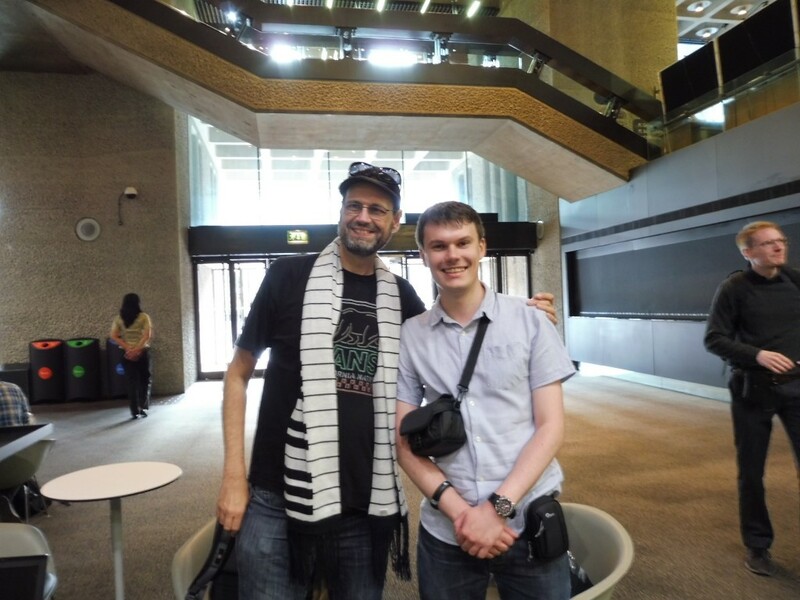 Valtonen enjoyed working with the jazzy styles of FFXIII’s music and worked with Hamauzu to create a complete drama using the most popular music from the game, a relative rarity in these concerts which tend to focus on lesser known pieces. The piece opened strong and fanfare like with “Prelude to Final Fantasy XIII” before moving into the march like “Vanille’s theme”. This eventually died down and moved into “Nautilus”, which showcased one of Valtonen’s favourite things to do in his arrangements, solo sections. 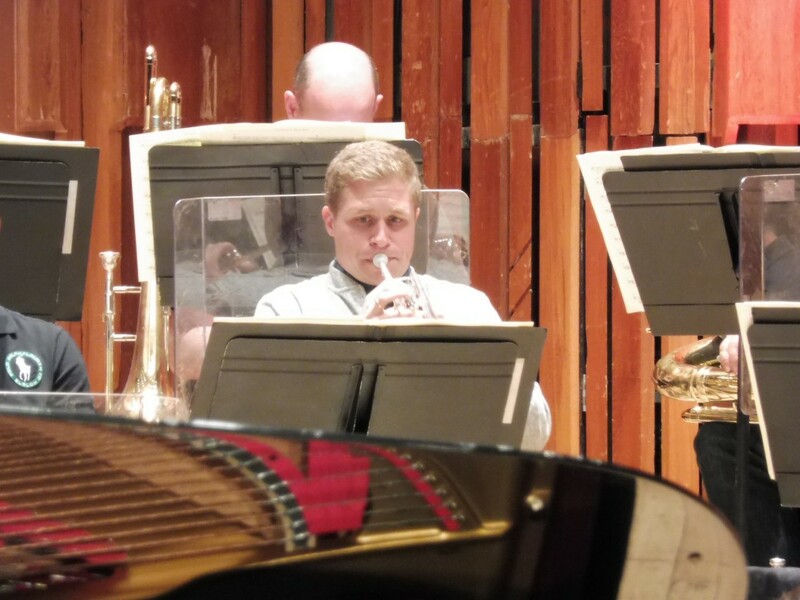 This one in particular gave leader of the orchestra Roman Simovic and lead trumpet Phil Cobb a chance to shine. From the previous Final Symphony and “Symphonic Legends” last year the arrangers now have a better idea as to what these players are capable of. I’m not sure whether this affected the arrangers’ decisions when working on these pieces but there were more solo sections in this programme overall. The solo were, as you’d expect, brilliantly romantic and lyrical. The drama builds up following this and then the piece quickly transitions from big and bold to romantic beauty, a difficult thing to do suddenly but it was executed with perfect control from both conductor Eckehard Stier and the orchestra players. After this, the second half of the piece begins focusing on battle themes, beginning with “Fang’s theme” with elements of “Blinded by Light”, which eventually becomes the main focus. The sound here was powerful, with the orchestra really playing at full strength, and the hi-hat symbol driving the rhythms forward makes it uniquely Hamauzu in style. “Serah’s Promise” with the main melody interjected around it slows everything down before reaching the epic climax. You can tell from the orchestration that Hamauzu worked on this arrangement, combining drama with light hearted moments, and it all works well together to create another outstanding arrangement. 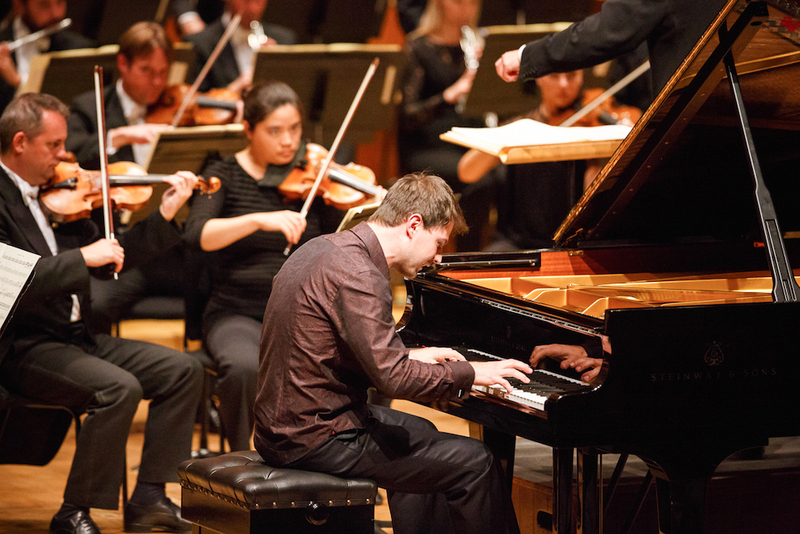 Final Fantasy IX was up next, with a piano concerto arrangement by Roger Wanamo titled “For the People of Gaia”. Roger wanted to create a character focused piano concerto that is performed as a single piece of music but feels like a four movement work, with each ‘movement’ focusing on a different character theme. The first movement focuses on “Zidane’s Theme” with “Vivi’s Theme” acting as the playful Scherzo. 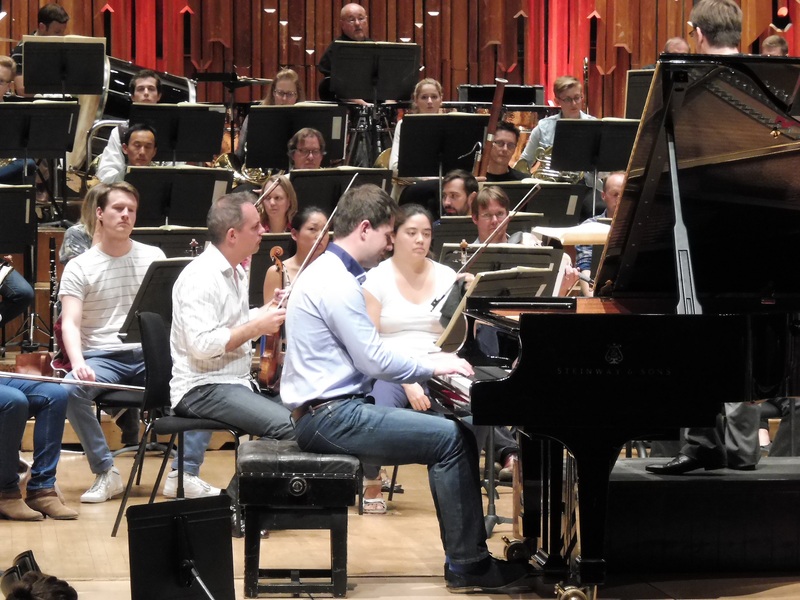 What was immediately striking about the performance was that piano soloist Slava Sidorenko looked so relaxed and casual, making his fancy finger work look really easy. Even at the more intense moments he was completely un-phased by anything, just doing his job. This was very different to how Benyamin Nuss played at these concerts in the past, going all out with the intensity of his playing. 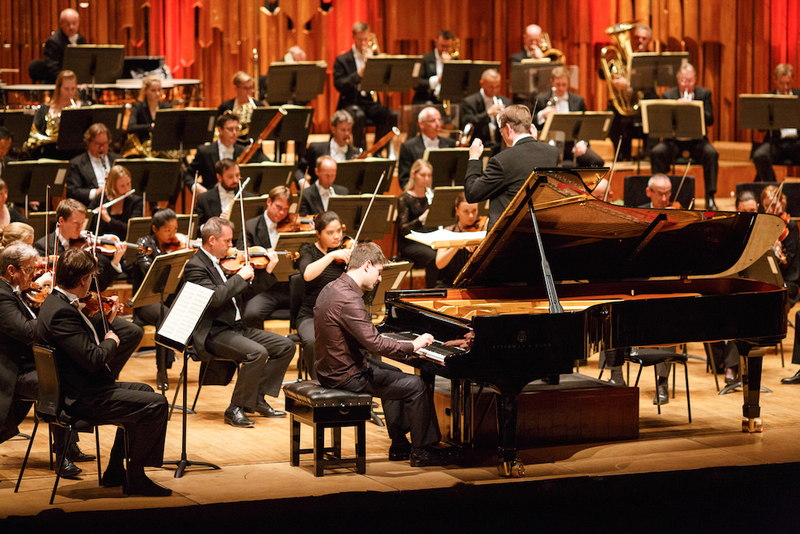 Yet Sidorenko’s playing still felt powerful at the more dramatic moments. With “Zidane’s Theme” established, unique 5 note rhythms drive the music forward before a cadenza happens featuring “Festival of the Hunt”. This got a few audience and the passing of the melody from instrument to instrument was very comical, and I loved the solo from tuba player Patrick Harrild. The quirkiness died down to make way for the ‘third movement’ which began with “Morning the Sky”. This was one of the highlights of the piece for me, it was so beautifully played and showcased lead trumpet Phil Cobb doing one of the things he does best, lyrical mellow melodies. 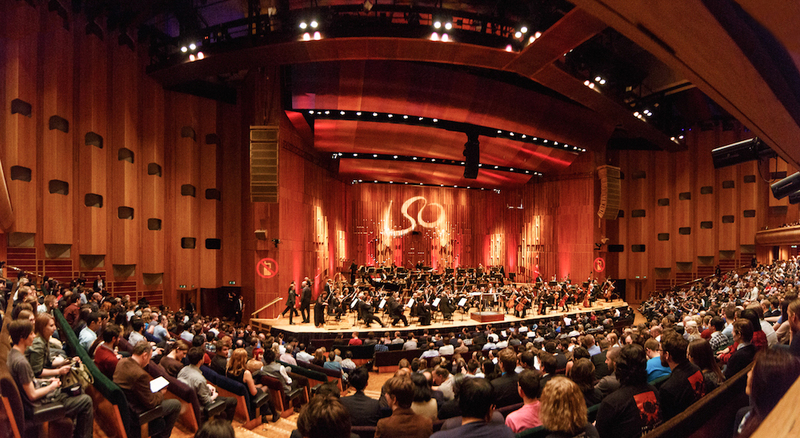 He did it when he and I were studying at the Guildhall School of Music and Drama, he did it during the London 2012 Olympics, and now he’s done it again in this concert. Just like they did in the Final Fantasy VII symphony, the romantic music that follows (“Melodies of Life” and “Unrequited Love”) is shadowed by ominous chords that transition into the final ‘movement’ focusing on the final battles with Kuja. This part was very clever, with the hero and villain themes clashing and intertwining with each other to depict an ongoing struggle. This struggle ends suddenly which ends the piece. During the interval I talked briefly to Mark Robins, who said that he felt that the programme so far felt lighter than the original Final Symphony arrangements, and I’m inclined to agree with him. This was a good thing as I felt more relaxed and felt like the music was easier to get into and enjoy for a first listen, giving the arrangements a bit of variety. This concert wasn’t reinventing the wheel or pushing the boundaries beyond what the team have already achieved, but rather expanding on their previous success, and sometimes that’s all you need. This arrangement from Roger Wanamo carries the title “Mono no aware”, meaning awareness of impermanence. The intention of this arrangement was to capture the conflict and difference between childhood and adulthood, a common theme in the story of Final Fantasy VIII. This arrangement as a result is more melancholic and reflective in nature compared to others. The piece opens with “Liberi Fatali”, and interesting choice without a choir but it was surprisingly effective, and it was performed better here than at any other video game music concert I’ve been to. The excitement became so much that Eckehard Stier was jumping on top of the conducting podium! I’ve never seen him do that before. The arrangement takes a very serious tone with pieces such as “The Oath” acting as the building block. Wanamo’s biggest aim with this arrangement was to explore pieces that shared fragments and worked well together, and this was what was most impressive for me. For example, “Waltz of the Moon”, which was performed with grace and an appropriate lightness, was cleverly interspersed with “Eyes on Me”. This is in part due to Uematsu’s skill as a composer creating a uniformed soundtrack that gels but also due to Wanamo’s skill as an arranger, creating a complete story. After dark dramatic ominous music the rhythmic battle themes drove forward such as “Don’t Be Afraid” and “The Landing”, and the way the different time signatures and melodies worked together and within each other was incredibly clever, with occasional hints at “Liberi Fatali”. The piano was also very effectively used here in an almost Kingdom Hearts like manner, I also liked some of the big slides from the double bases and the explosive brass moments. 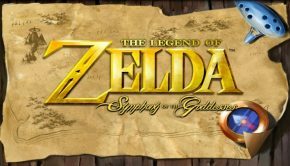 The piece died down, passing character themes around the orchestra and then ending suddenly, leaving an uncertainty about what just happened, similar to the game itself. This was the most dramatic of the programme so far, yet still felt lighter than the original Final Symphony, in line with the rest of the programme. An interesting choice to end the programme with this piece. 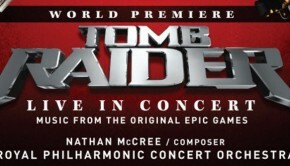 Out of all the games presented in this concert V is probably the least well known or popular. That being said, I’ve been to enough of these concerts to know that this team know what they are doing and if they say they can make an epic finale out of a less popular game, I believe them. Stier crossed his fingers and wished the orchestra good luck before this one began, which reaffirmed my instincts. The arrangement begins with “Musica Machina”, which, like the previous arrangements, is the piece that repeatedly returns and holds the rest of the music together. I particularly like the moving trombone line and brass chords, very powerful. This is followed by the romantic “Reina’s theme”, with a very effective sliding violin to represent the rising wind. “Musica Machina”, which acts as a transition between each section, leads into a big battle music section, with subtle hints at “Clash on the Big Bridge” though it was never played fully (you’ll see why later). Next up was “Spreading Grand Wings” featuring principle trombone Dudley Bright. Dudley focuses on technical perfection with his playing and it shows here, very lyrical playing and an amazing understanding of how to play a beautiful melody. This builds up to Rite of Spring style violins which lead into Ex-Death’s theme “The Evil Lord Ex-Death”. This is mashed together with “Sealed Away” and “Ex-Death’s Castle” very effectively and played with an amazing intensity. With the amount of original melodies mashed together it felt like it shouldn’t work but it does. The double bass harmonies were very effective later on in the arrangement, and you can clearly hear Uematsu’s Tchaikovsky influence in this moment. The main theme, which pops up at various points throughout the piece, comes in definitively at the end to finish it all off, with the victory theme being randomly thrown in for good measure. I knew the team could pull this off, if they say the least popular game in the series makes for a good finale, I trust them and this shows it. 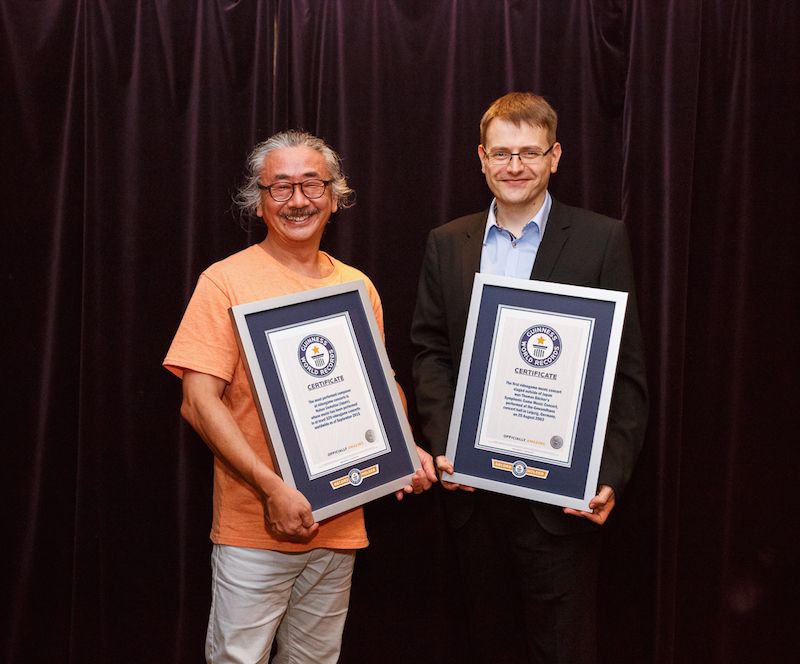 After that, the Guinness world records went on stage and gave Nobuo Uematsu and Thomas Böcker world records for being the most performed video game composer and organising the first video game music concert outside of Japan respectively. After this, of course encores had to happen, with the amount of standing ovations these concerts get it’s inevitable. I managed to get a laugh in here, after Stier said “Do you want one more?” and everyone cheered, I shouted “Can we have 2?!”. 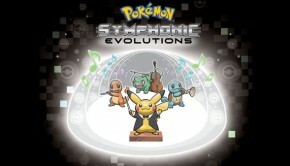 The first of these was a battle theme medley featuring “Clash on the Big Bridge”. This is the best orchestration of this piece so far, it was brilliant. Then it suddenly fell apart on purpose and tuba player Patrick Harrild got to show his comedic side, one of my favourite things about the man. Playing the chocobo theme as though he was drunk with Eckhard Stier shouting stuff at him, before quickly returning to business. “Clash on the Big bridge” interspersed with the chocobo theme should not be musically possible, two opposite pieces of music should not work together at all, yet they pulled it off here. I thought they couldn’t surprise me again, I was wrong. 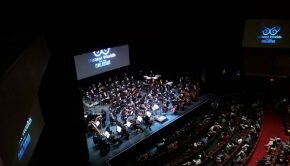 The final encore was the team’s orchestration and rendition of the main theme of Final Fantasy, beginning with a beautiful harp solo, followed by support from the woodwinds, followed by the brass, then the whole orchestra comes in for an epic ending. Once again, in my opinion, this is the best orchestration of this piece so far. Once again the team have pulled off another spectacular concert. I was surprised, moved, cheered up, made to laugh and just blown away by the atmosphere of it all and the quality of the music making on display from all parties. 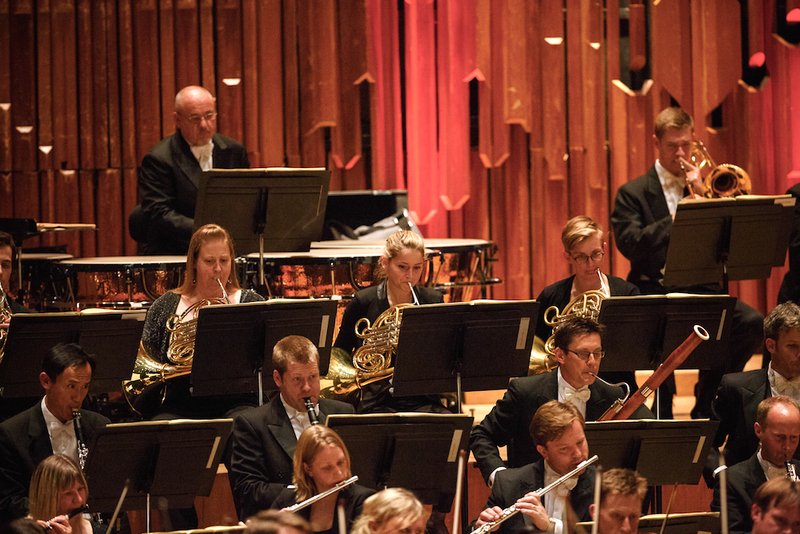 While Final Symphony II wasn’t reinventing the wheel or revolutionising what the team have already done, it was triumphantly expanding on previous success. The complicated yet accessible orchestration, the outstanding performance from the LSO who all seem to love doing these concerts, the phenomenal musicianship of the arrangers combined with the fundamental understanding of the games and the amazing organisation of the lead man Thomas Böcker putting it all together. Once again the team have put on an amazing concert and I remain a huge fan of their work. 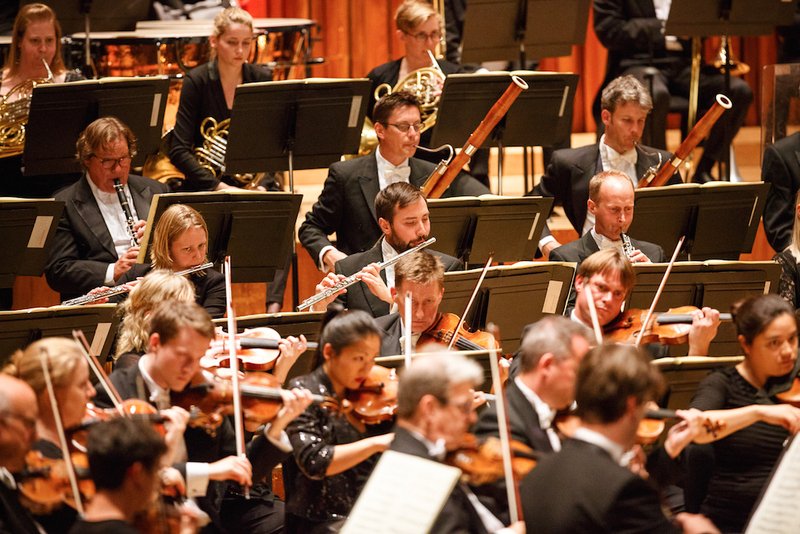 Best of all, they will be back with the LSO in 2016 and I will most certainly be there whatever they decide to do. See you next time! Posted on September 24, 2015 by Joe Hammond. Last modified on October 10, 2015.